For those of you who love Ina Garten's recipes, a group of us get together and re-create on of her recipes at home. This fresh lemon mousse is a summer dessert but it's elegant enough to serve to company any time of the year. In a large heat-proof bowl, whisk together the 3 whole eggs, 3 egg yolks, 1 cup sugar, the lemon zest, lemon juice, and a pinch of salt. Place the bowl over a pan of simmering water and cook, stirring constantly with a wooden spoon, for 8 to 10 minutes, or until with mixture thickens like pudding. Take off the heat and set aside for 15 minutes. 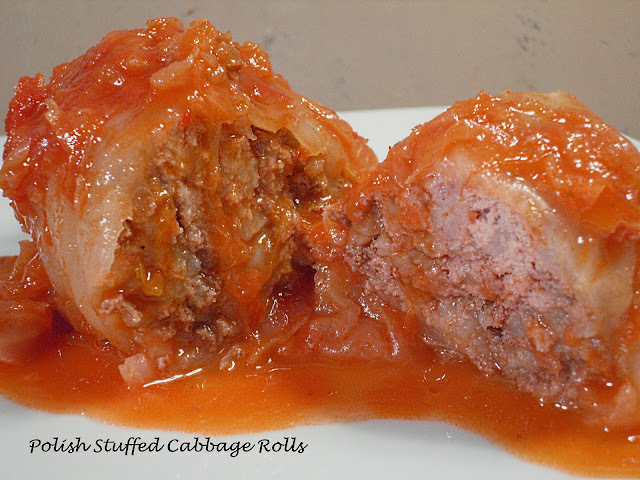 Cover with plastic wrap directly on the surface and refrigerate for 1 to 2 hours, until completely chilled. Using a carrot peeler, remove the zest of 3 lemons, being careful to avoid the white pith. Put the zest in a food processor fitted with a steel blade. Add the sugar and pulse until the zest is very finely minced into the sugar. Cream the butter and beat in the sugar and lemon mixture. Add the eggs, 1 at a time, and then add the lemon juice and salt. Mix until combined. The mixture will look curdled, but as soon as you begin to cook the mixture it smooths out fine. Pour the mixture into a 2 quart saucepan and cook over low heat until thickened, (about 7-10 minutes), stirring constantly. As soon as it begins to thicken, remove from heat, cool and refrigerate. Place egg whites and a pinch of salt in the bowl of an electric mixer fitted with the whisk attachment. Beat on high speed. Add the remaining 2 Tbsp. sugar and continue to beat until the whites are stiff and shiny. Carefully fold the beaten whites into the cold lemon mixture with a rubber spatula. Place the cream in the same bowl of the electric mixer fitted with the whisk attachment (no need to clean the bowl) and beat on high speed until the cream forms stiff peaks. Carefully fold the whipped cream into the lemon mixture. Fold in the lemon curd and pour into a 7-inch diameter, 3-inch deep souffle dish. Decorate with sweetened whipped cream and lemon slices. Whip on high speed until the cream forms stiff peaks. Spoon or pipe cream on top of mousse. Visit all the participants who contribute to Ina Fridays! Take a look at the Ina First Friday Pinboard too. I'm just...without words that are worthy. Just WOW! Seriously fabulous treat for summer. So light and fresh. Yummy! You had me a Lemon Meringue pie in a jar...awesome! Great recipe. 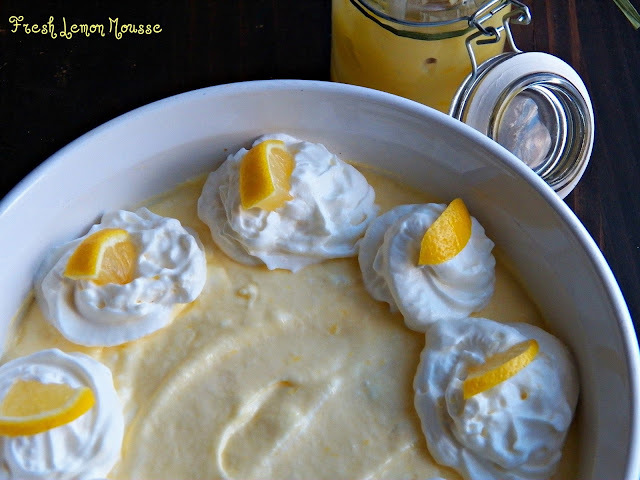 Lemon mousse with lemon curd, that´s an awesome dessert! Haven´t made a lemon mousse in years. Please pass the extra large spoon over here! Holy cow... just pinned that lemon curd photo! Thanks for sharing this luscious looking dessert! 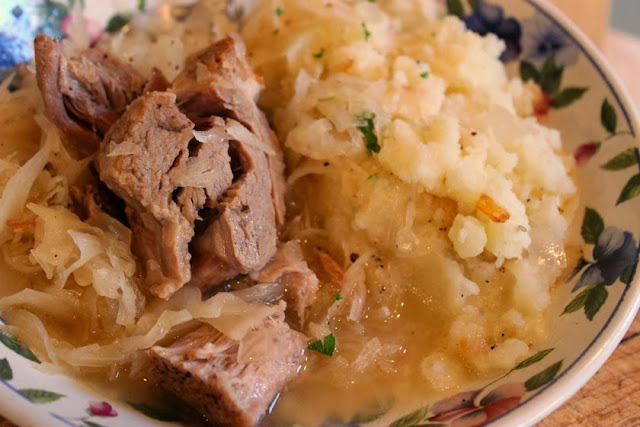 Mmmm - I want to run to the kitchen and make some of this right now! Those are beautiful, Patti! I could eat your lemon curd and/or your lemon mousse with a spoon. Delicious either way! Can I stay for dessert?? This looks absolutely delicious. So light and fluffy. I just want to dive right in with a giant spoon. This looks like the perfect dessert to have after a big Easter meal! oh em gee - your mousse is gorgeous! It looks so smooth, light and just bursting with lemon flavour. This is perfect now that the temperature's rising. I am normally not a mousse fan because I am not a fan of chocolate mouse but lemon mousse, yes please. 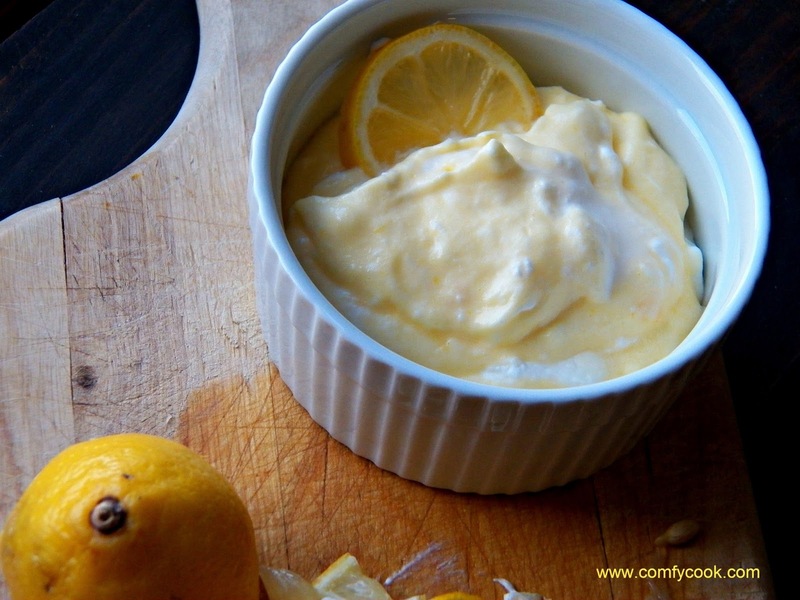 I love lemon curd and lemon anything just about this looks fantastic. I fill cakes with this heavenly mixture and it's just divine. Your blog looks great Patti! I'm drooling!! I'm a lemon lover and this pudding looks dreamy! Love all the lemon desserts but love the one in the jar most !! Beautiful !! OH WOW! Lemon makes me swoon. Thanks for sharing at Weekend Potluck! Hi Patti, this is a delicious dish. I've made it too before. I so look forward to Ina Fridays.